The Cuban Research Institute, the Kimberly Green Latin American and Caribbean Center, and the Libraries at Florida International University are pleased to announce the winners of the 2016 Díaz-Ayala Library Travel Grant competition. 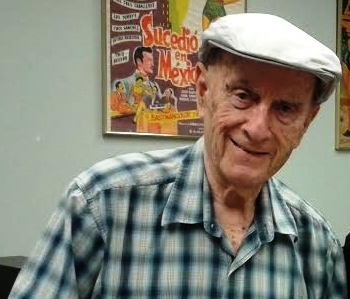 The awards are offered in honor of Cristóbal Díaz-Ayala, the prominent music collector and independent scholar who donated his Cuban and Latin American Popular Music Collection to FIU in 2001. This is the eleventh round of winners of the grants, designed to increase access to the special collections and archives on Cuba and its diaspora at FIU. Grant recipients will spend several days studying the collections and give a lecture during their stay at FIU. 1. Gabriela Alfaraz, Department of Romance and Classical Studies, Michigan State University, "Linguistic Change in Cuban Spanish"
2. Lillian Casanella Cué, Center for Research and Development of Cuban Music, Havana, Cuba, "The Guaracha: Approaching National Identity through Its Texts"
3. Noraliz Ruiz Caraballo, Center for Puerto Rican Studies, Hunter College, New York, "The Transatlantic and Caribbean Manifestations of Cuban Décimas"